Floors, ceilings, wall covering, furniture and slat panels for shops were always made of wood. It was the most durable material and the simplest to get and work. Later, doors, shelves and other elements made of iron or glass appeared and, finally, more resistant and affordable materials, such as stainless steel or plastic, appeared and won the battle during the last century. However, wood has once again recovered its major role in commercial interior design. Although the hardness and resistance of the wood used in decoration today is much greater than in the past, wood slats and panels are mainly used for the elegance and warmth they transmit. 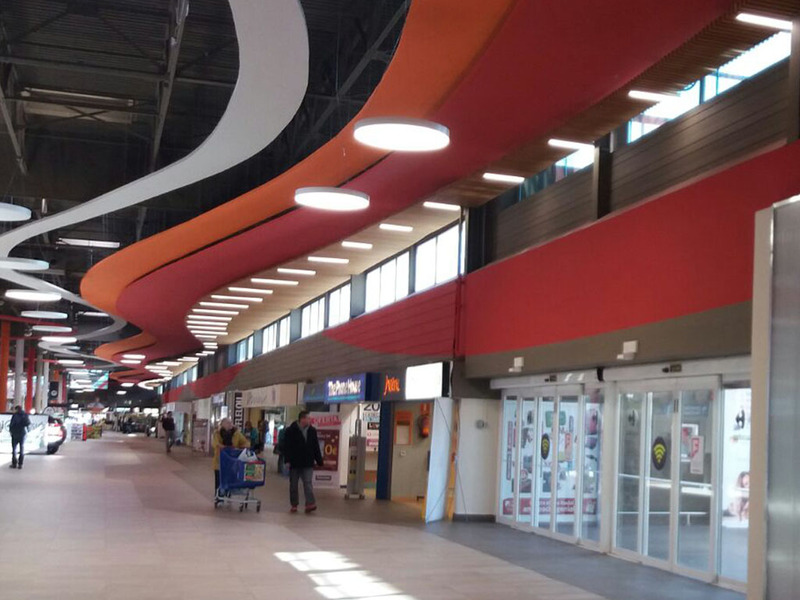 In an environment full of brightly coloured plastics, luminous signs and provocative advertisements of offers and promotions, slat panels for shops and shopping centres made of wood provide serenity, a sense of being close to nature and an unmistakable touch of distinction. 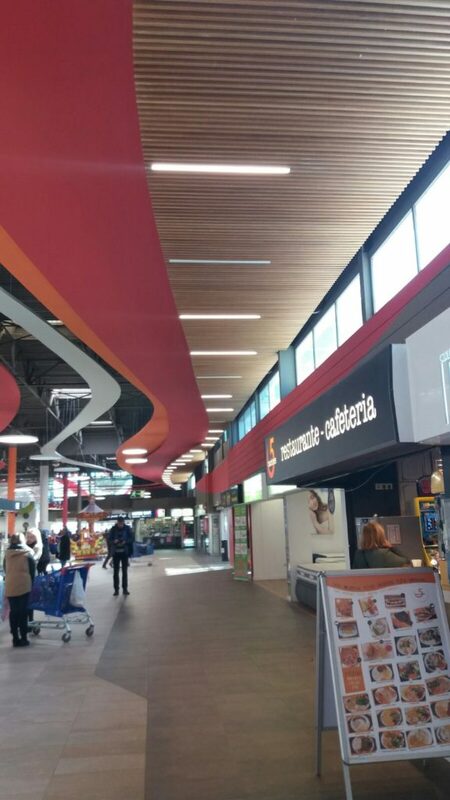 As an example, this simple project carried out with wood slats Spigoline in 2017 at the Carrefour Les Gavarres shopping centre in Tarragona. Approximately 330 m2 of wood slat panels were installed. 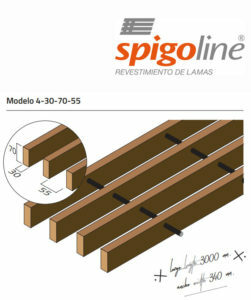 These are Spigoline Grid System model 4-30-70-55, each with 4 slats 30 mm wide, 70 mm high and a slat spacing of 55 mm, placed with black rods on 340 mm wide grills and combined lengths of 1,000, 1,500, 2,000, 2,500 and 3,000 mm. The wood slats they were finished in solid obeche wood with B-s2, d0 varnish and installed with T-15 profile fastening clips. – Is it possible to decorate walls with wood panels?